Spring is in the air and these sunny days ask for some adventurous day trips. In the south of the Netherlands there is a beautiful castle, which is high on the top of my to do list at the moment. Kasteel Wijlre is located in Limburg and was founded by the couple Jo en Marlies Eijck. Jo and Marlies bought the property when it was in a state of decay in 1981. They renovated the castle and created a place where art and nature comes together. The place itself is already worth visiting but in the Hedge House in the garden they have created an art gallery where they house various modern art exhibitions. 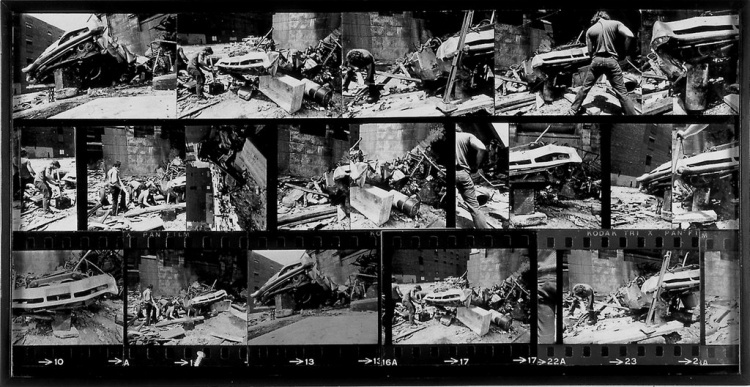 At the moment they are showcasing the work of Gordon Matta-Clark, a wonderful artist whose work has last been shown in the Netherlands in 1989. 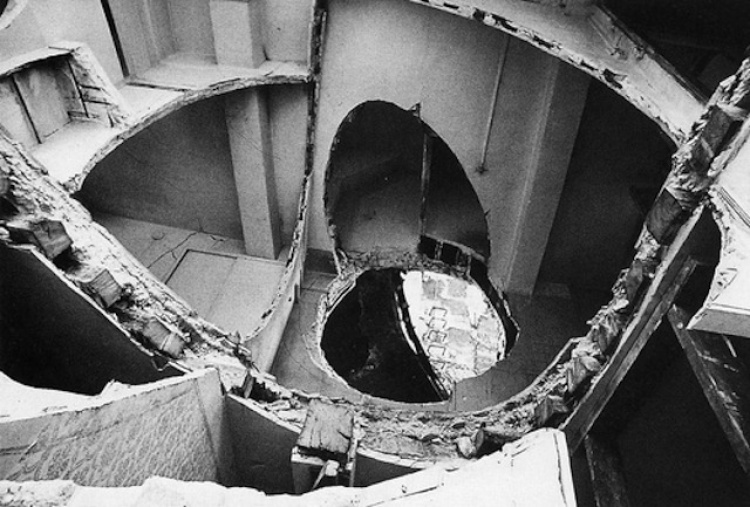 Gordon Matta-Clark is an American artist who was born in New York in 1943. His parents were both artist but Gordon decided to study architecture. He has never really build anything; he rather used buildings as a canvas to work with. 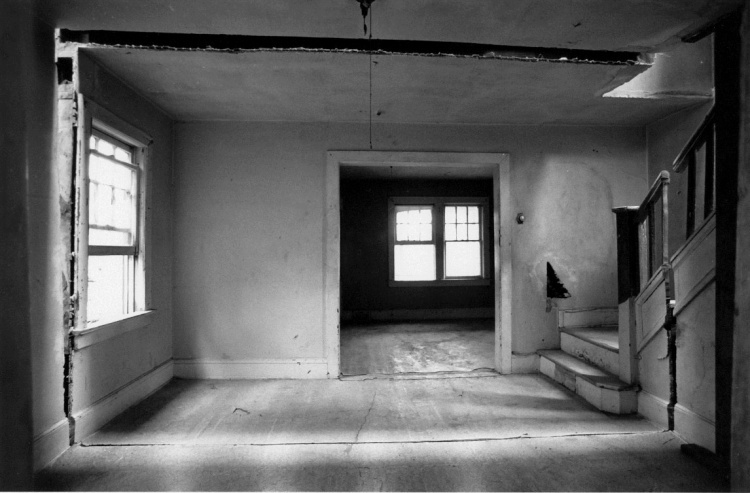 He was fascinated by spaces and adjustments that can transform existing spaces. He uses buildings that were already given up to be demolished, almost as a last tribute he would turn them into art pieces. He describes these pieces as “Splittings” and “Cuttings”. In his splittings he would cut buildings exactly in half so that a new thin layer of light would enter the place and create new lines and perspectives in the space. With his cuttings he would completely transform buildings by cutting abstract shapes out of the ceilings and walls. Most of it was all a reactions to failing modern architecture in those days, according to him. The extreme functionality before form attitude frustrated him. He therefor called him self an Anarchitect and was often found on the borders of vandalism and activism. 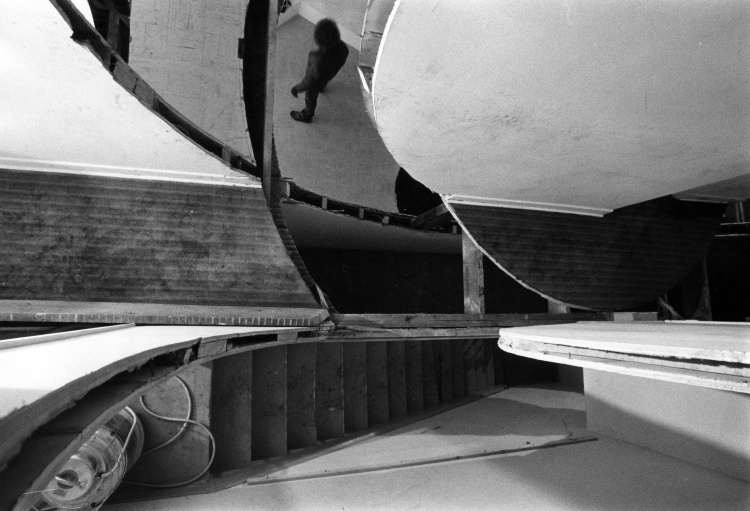 Personally I think one of his most beautiful pieces is the “Descending steps for Batan” in 1976. It was short after his brother (Batan) committed suicide, Gordon was asked to create a piece in an art gallery in Paris. He decides do dig a big hole in the ground inside the art gallery. In the four weeks that the exhibit lasted he kept on digging until he ended up with a twelve-meter deep tunnel, a symbolic grave for his brother. Most of the work that Gordon has made doesn’t exist any more, the buildings got demolished or renovated. What is left of Gordon’s works is just the documentation that he and others made. There have been attempts by others to save the buildings by buying it, unfortunately that never succeeded. But it might also just be the beauty of Gordon’s work. He reacted to already existing this and hardly felt the need to create something new. He never really earned a lot of money or cared about money he described him self as and alchemist, someone who could turn trash into art. So there for it makes sense that his work is pretty much unsellable these days. Everything in Gordon his work shows how exiting the 60’s and 70’s must have been in New York. 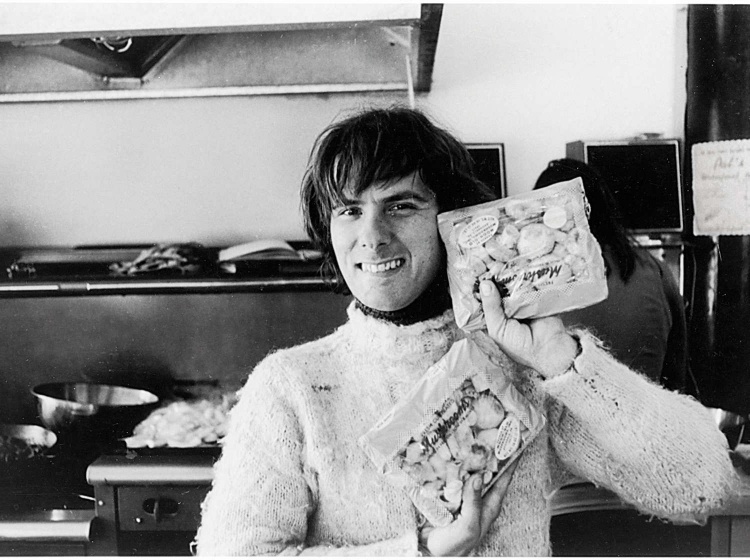 It also shows in the restaurant that he opened in 1971 with his girlfriend Carol Goodden. They used to throw dinner parties in their apartment for friends and other artist until one night they decided to open up a restaurant. A place where friends could work and cook dinner for other friends. 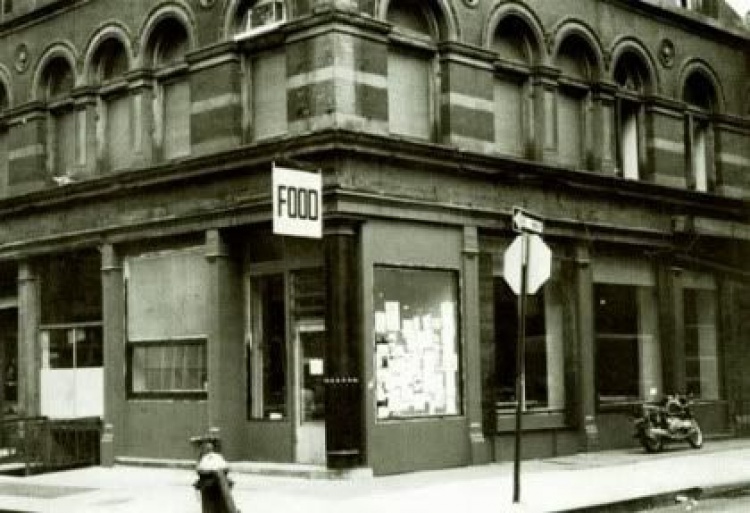 In Soho they found an old tapas bar and turned it into an art project called FOOD. 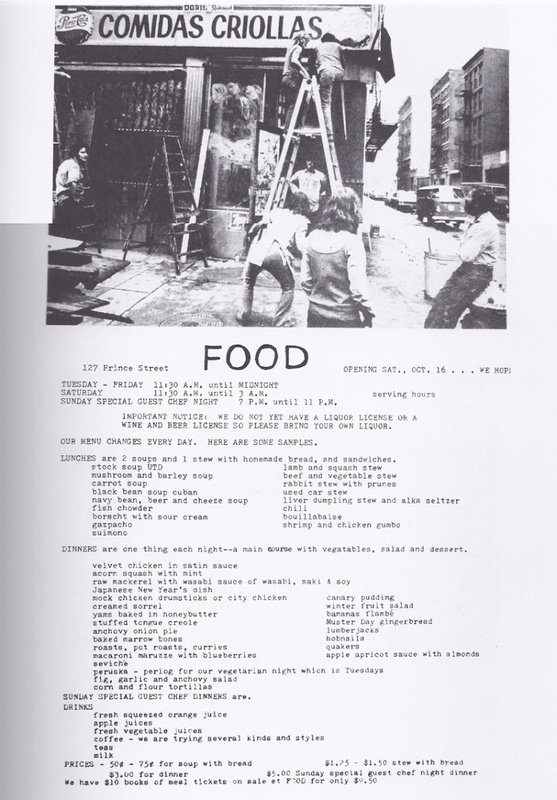 They would cook on camping sets and would invite other artist to try out new recipes, it was never a chic restaurant but more like a clubhouse for the young art scene. People like Robert Rauschenberg were cooking meals and guys like Phillip Glass and Andy Warhol sometimes helped out with the dishes. To me that sound like the perfect restaurant, a creative chaos were food brings people together. In the exhibition in Kasteel Wijlre are mostly rare sketches and photo’s shown, but also some of the recipes from FOOD it self. So I know where I will be finding my next dinner inspirations.